It's Monday and the countdown to Thanksgiving is on! Since I have a toddler on my hands this year, I am making sure to plan ahead so that I'm not frazzled come Thursday morning. Also, I tend to over-extend myself, so planning things out helps me figure out what all I can reasonably accomplish! 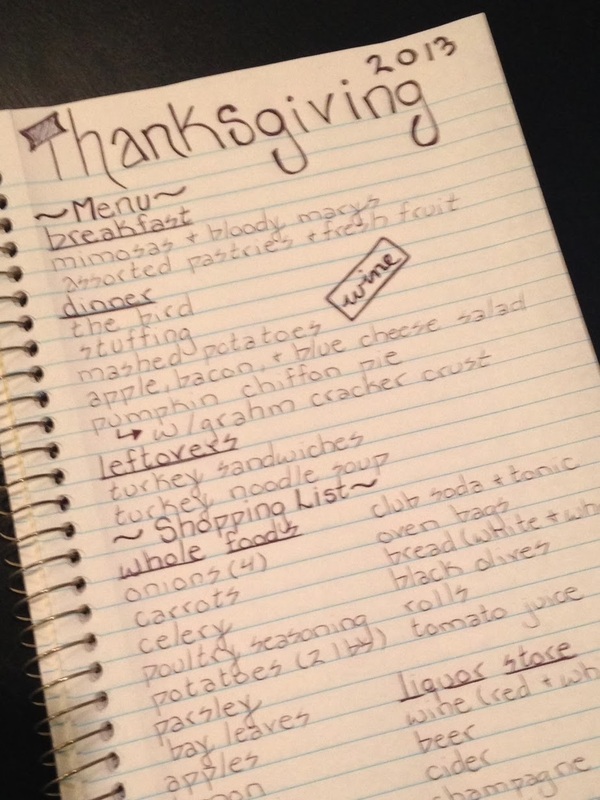 I usually do all my grocery shopping on Thanksgiving Eve (or "Thanksgiving Prep Day" to me), because I enjoy the hustle & bustle in the stores that day. However, this year I'm going to get everything I need early so I can spend that day in the kitchen instead. I know that it will take me at least three times as long to get things done since I will have Liam "helping" me! Since I'm sure many of you are planning your menus at this time as well, I wanted to share one of my favorite recipes: Pumpkin Chiffon Pie! 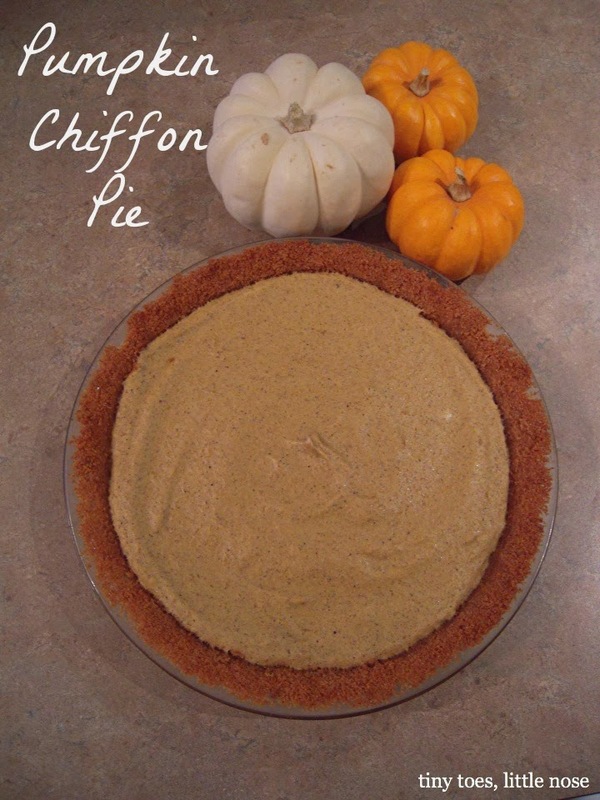 It is much lighter than your traditional pumpkin pie, which is perfect for right after you stuff yourself with turkey. The pumpkin chiffon pie is made with a graham cracker crust which is really the absolute best crust.... as far as crusts are concerned. Crust. Crust. Crust. I think I can say it a few more times! I like to make this the night before, so that it is done & I can focus on the main event: the bird! Enjoy this recipe; I'm sure everyone at your table with love it! And let me know if you try it out!